Today, for Kate Middleton, 37, will be very eventful. 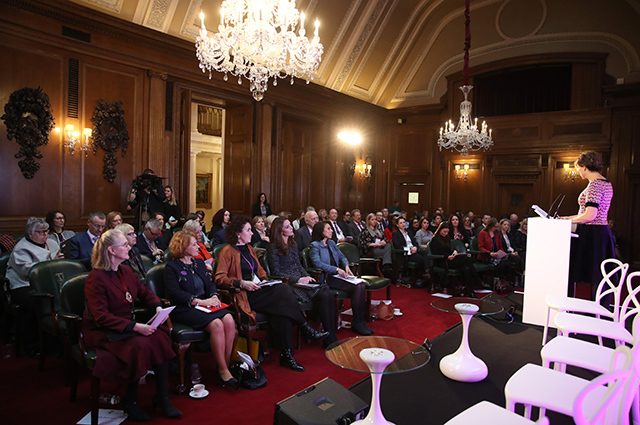 She had just arrived at the conference of the Royal Foundation “Mental Health in Education”, which is taking place at Mercers Hall. The duchess is known to pay a lot of attention to this issue. Last week, she visited two schools in the UK for Children’s Mental Health Week . During her visits, she spoke with children and adolescents and learned about the support they received regarding their health and well-being. 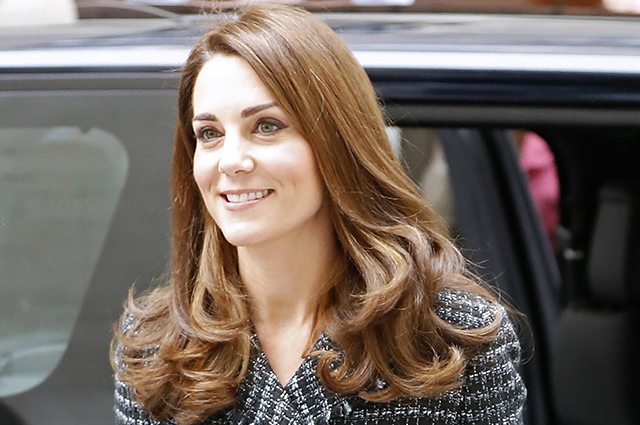 At the event, the duchess arrived in a discreet gray-black tweed suit from a double-breasted jacket and skirt from Dolce & Gabanna. The image of Kate is complemented with Tod’s suede shoes, a Mulberry miniature clutch and Kiki McDonough earrings. 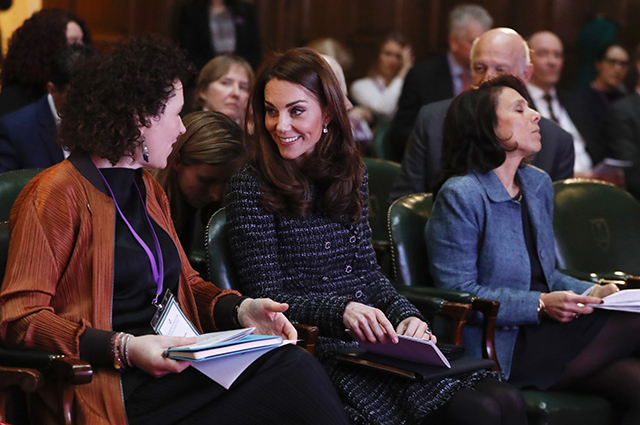 Judging by the first photos, the wife of Prince William is full of enthusiasm and is clearly pleased to participate in the conference – she greeted the crowd with a wide smile. Already in the evening the Duchess of Cambridge will appear at another event – she will attend the gala dinner of the 100 Women in Finance organization at the Victoria and Albert Museum. The representatives of the royal family recently often delight their fans with constant exits, as if alternating. Recall that last night Megan Markle and Prince Harry visited a theatrical production in London .